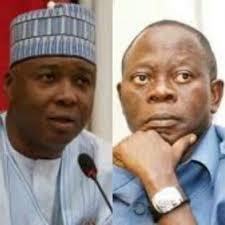 PDP replies Oshiomhole, says Senate Leadership Not Party Positions – Royal Times of Nigeria. PDP’s National Publicity Secretary, Kola Ologbondiyan, said this in a statement on Sunday. According to him, the Senate President and that of Deputy Senate President does not belong to political parties but to Nigerians, who elect persons into the seats through their elected representatives in the Senate. 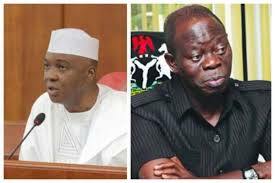 Ologbondiyan’s comments come after repeated calls made by the APC for the Senate President, Bukola Saraki, to resign his position following his defection from the ruling party to the opposition. The party referred to the call as a means of destroying Nigeria’s democracy. The party further noted that the ruling party is fighting a lost battle and therefore, called on Nigerians to vote out the APC and return Nigeria to the path of peace, national cohesion and economic prosperity, on the platform of the repositioned PDP, come 2019”.